In 2017 alone, the global lottery industry saw upwards of $273 billion in revenue, generated through ticket sales. It’s undoubtedly a tremendous market but a far cry from what it could potentially be. GG World Lottery and the Current State of the Lottery Industry. The industry is characterized by the lack of transparency, outdated technologies, and it is in desperate need for transformation. 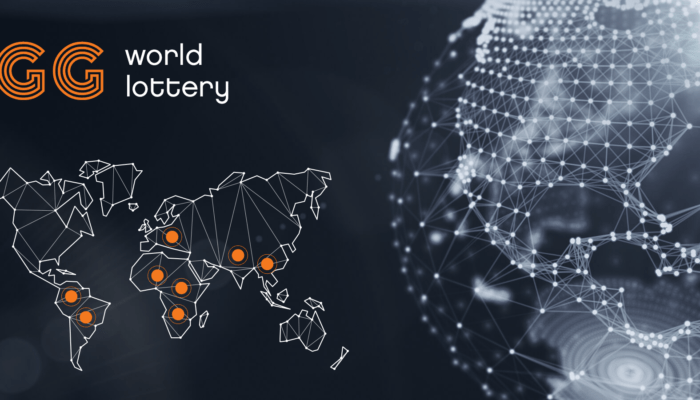 Powered by blockchain technology, the technology underpinning the success of a distributed trust system, GG World Lottery will soon disrupt the lotteries market. GG World Lottery’s solution will be integrated with fully online, government-regulated, and transparent national lotteries throughout the entire world. Lotteries themselves are struggling to adopt new technology and to employ effective, modern market strategies. What is more, a lot of them are run by governments, which suggests that the industry is also rather monopolized. GG World Lotteries intends to transform the market by tapping into the unlimited potential of emerging technologies. The project will use blockchain-based technology to put an emphasis on users’ trust and transparency. This will guarantee the fairness of draws as well as the transparency of the entire process. The project will implement the first of its kind True Random Number Generator (TRNG) in place of the popular pseudo-random number generators. This will guarantee the users that numbers are drawn entirely randomly, based on the quantum physics principle for the natural randomness of the world. Additionally, the entire system will be closely monitored and certified by the world-class gaming certification business, Gaming Laboratories International for an additional layer of transparency and trustworthiness. In its current state, the global lottery industry is on the verge of a rather disturbing demographic trend. The user is king on the GG World Lottery platform hence his preferences will be properly catered to. The team behind the project, backed by years of experience in the field, understands that mobile devices will eventually replace outdated lottery hardware. As such, the project takes a rather modern approach, designing a user and mobile-friendly platform, in order to stay relevant and to further capture a wider audience of users. On top of that, token holders will receive dividends on a quarterly basis, paid based on the overall number of tokens they hold. These quarterly-paid dividends will be part of a lifetime revenue share token holders will receive over time, based on every jackpot prize win. The project has recently concluded its private pre-sale, and the main ICO is now live. With a total hard cap of 500,000,000 GGC, each token has a face value of $1 and those participating in the ICO can get more than the fair value through the bonus offerings. In order to be eligible for the bonus, participants will have to fulfill certain minimum contribution criteria. Those spending anywhere between $10,000 and $100,000 will receive a 5% bonus. Similarly, ones purchasing tokens worth over $100,000 and less than $1,000,000 will be eligible to claim a 10% bonus. And, anyone spending over $1 million stands to get a 15% bonus. To participate in the token sale, users will have to first go through the KYC whitelisting procedure, which has been open since November 15, 2018.